Lone Hill Tree Regional Park incorporates 31 hectares of the slopes of Lone Hill in the Highlands, northwest of Victoria on the Saanich Peninsula of Vancouver Island. The drier ground of the park’s upper hillside hosts a brilliant show of native wildflowers in spring, including one of the most beautiful of all, the Western Columbine. A feature of the park is the wonderful 360-degree panorama from atop Lone Hill. A fairly steep but easy climb through Douglas-fir, Western Red Cedar, open dry-land and Arbutus trees brings the visitor to the rocky hilltop. The peaceful ambience and the wonderful views will want to keep you up there. Spectacular views of the Malahat, Victoria, Mt. Baker and the Olympic Mountains in the US await those who have embarked on the 30-minute hike. 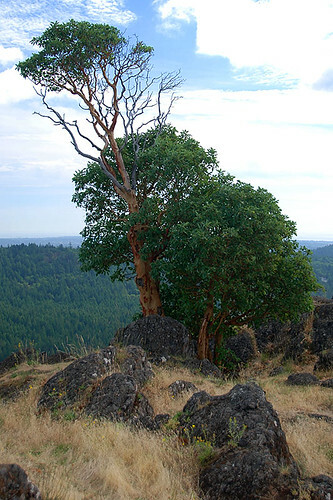 The original Lone Tree, now a twisted decaying trunk of a 200 year-old Douglas-fir, is survived by a lone Arbutus tree struggling to survive the dry, exposed conditions. The park’s ecology is very fragile, and users should remain on the trails. 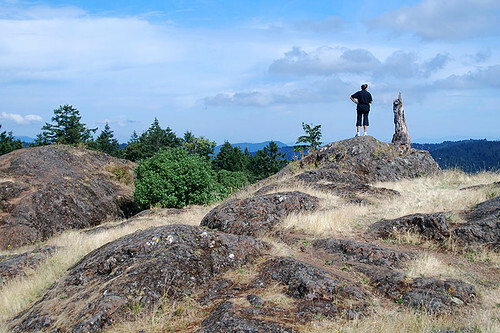 As with other Saanich Peninsula hilltops, Bald Eagles, Red-tailed Hawks and Turkey Vultures can be admired from this vantage point. Facilities are limited to parking only. 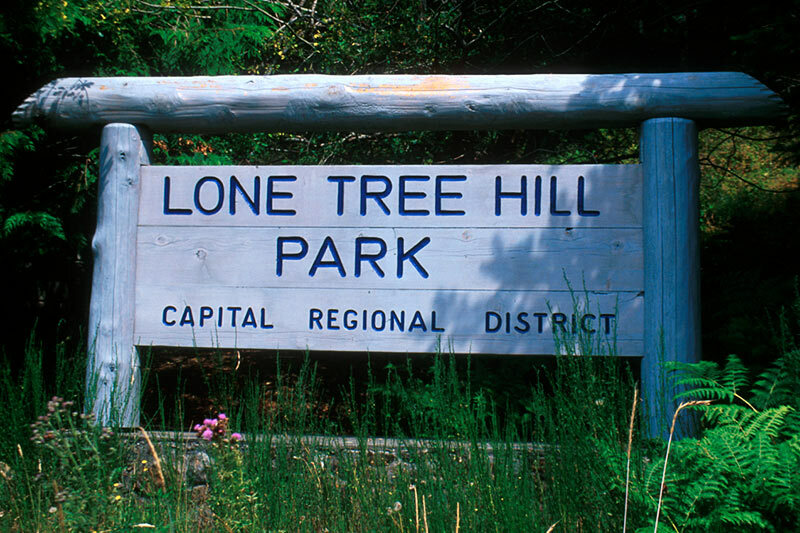 Lone Tree Hill Regional Park is located in the Highlands northwest of Victoria. Turn north onto Millstream Road off Highway 1 and continue to the parking area.